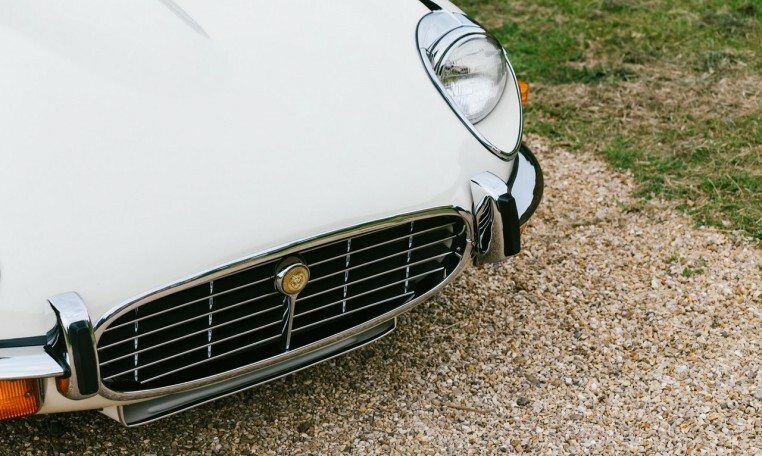 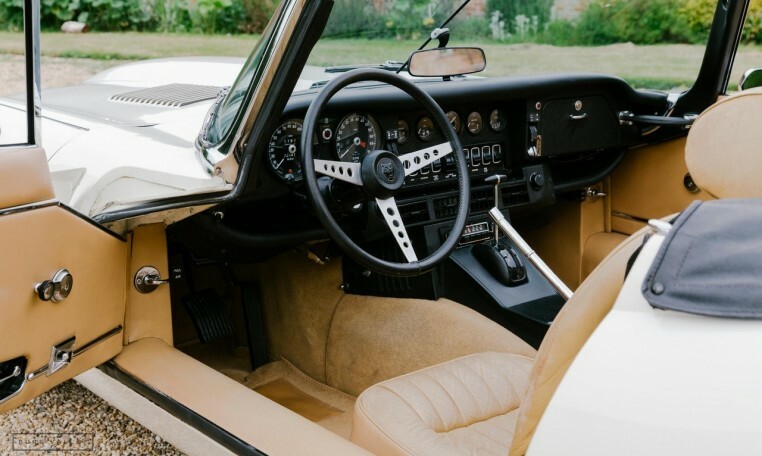 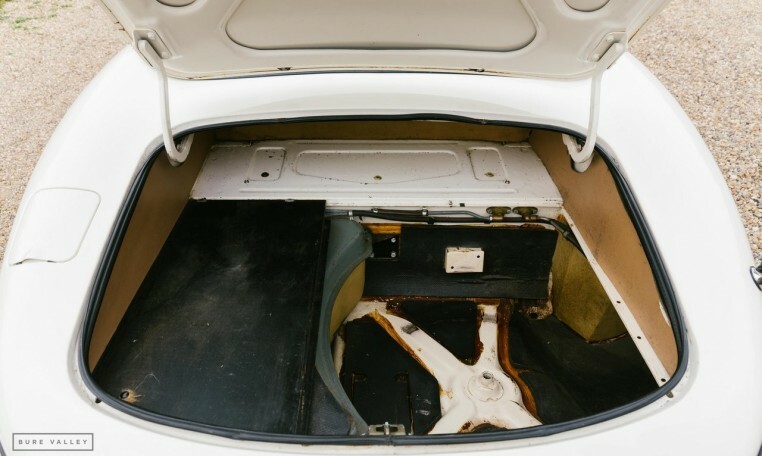 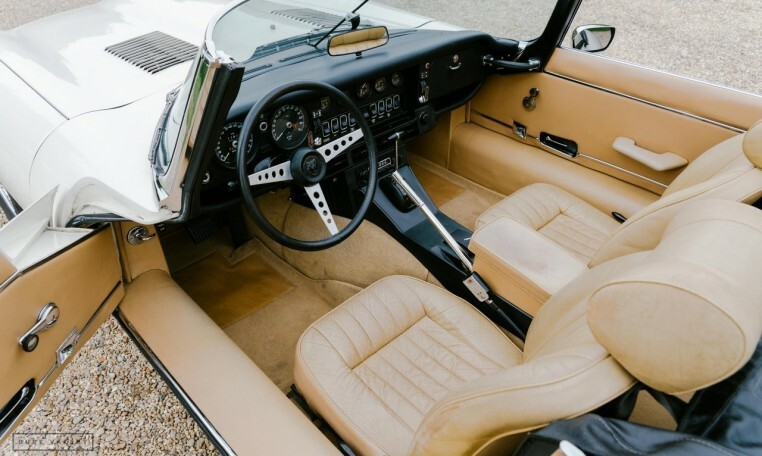 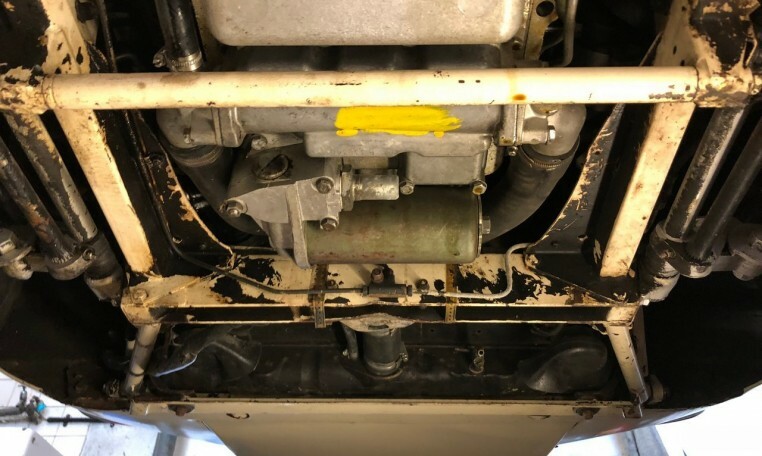 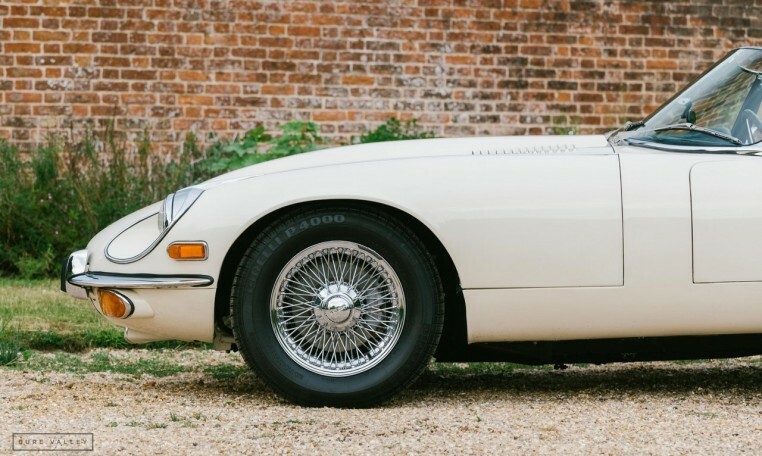 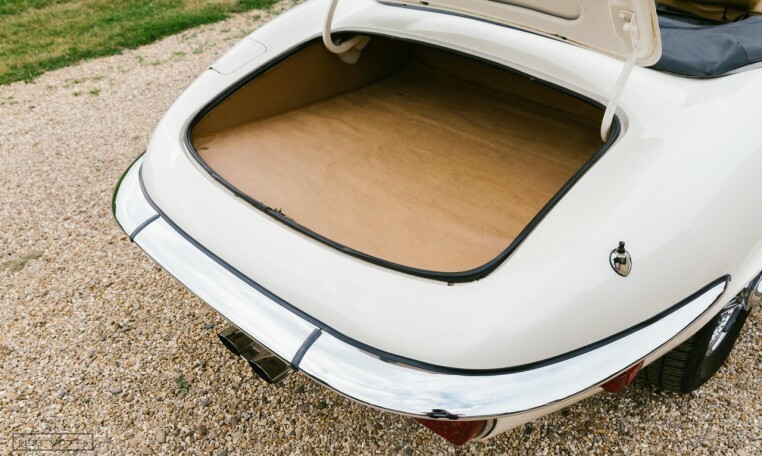 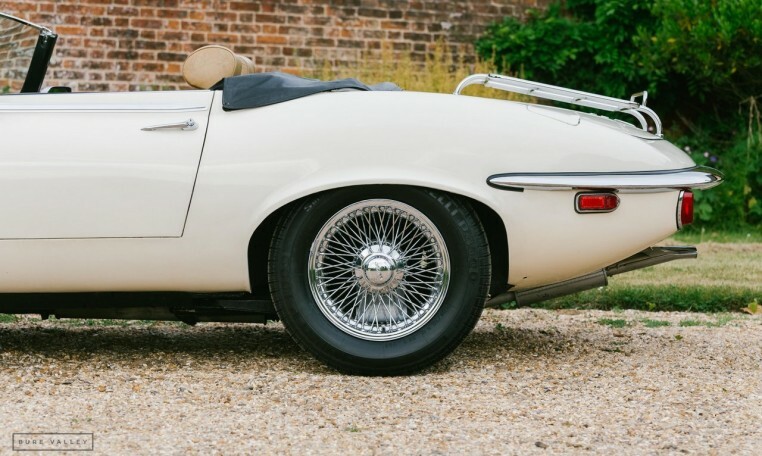 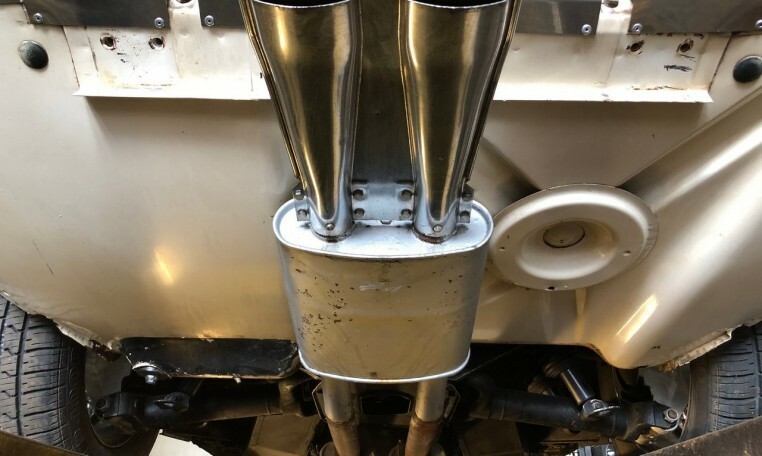 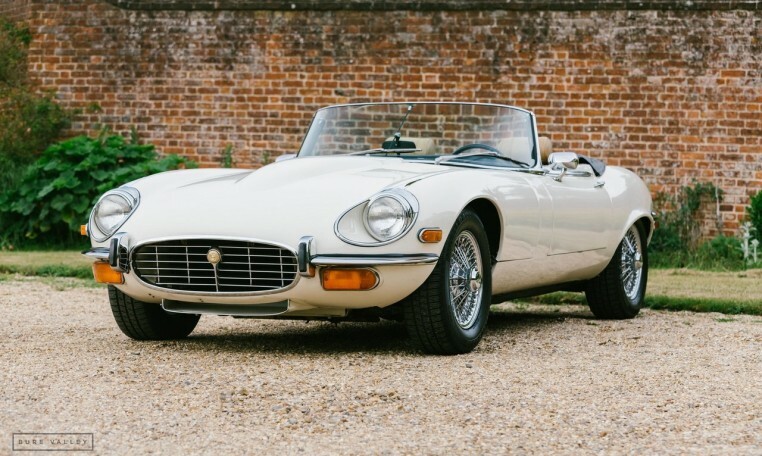 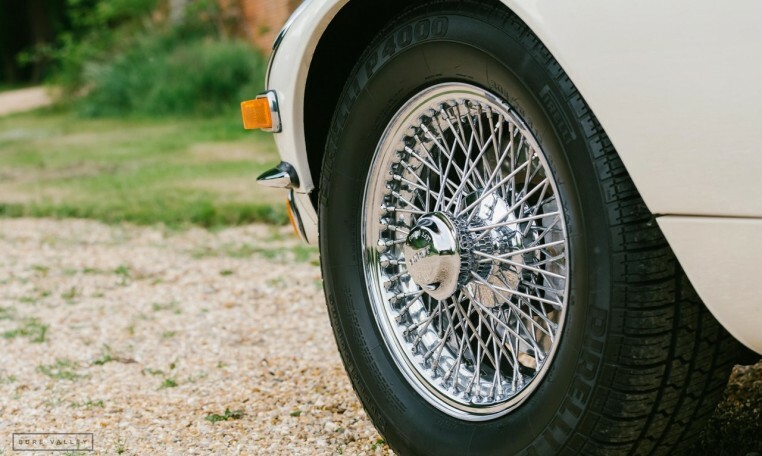 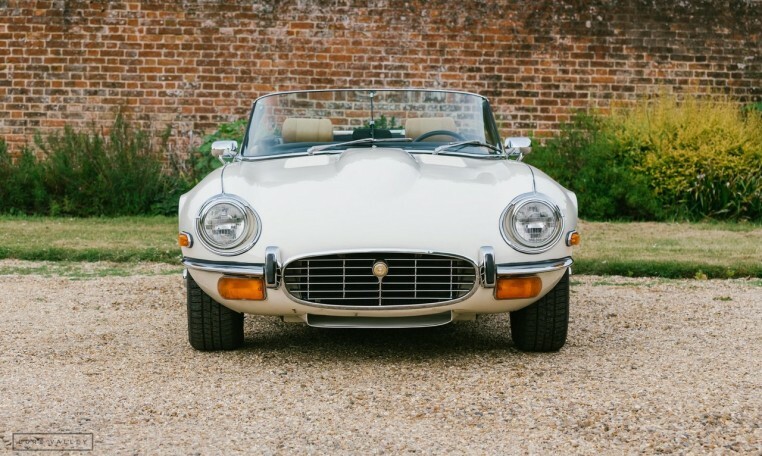 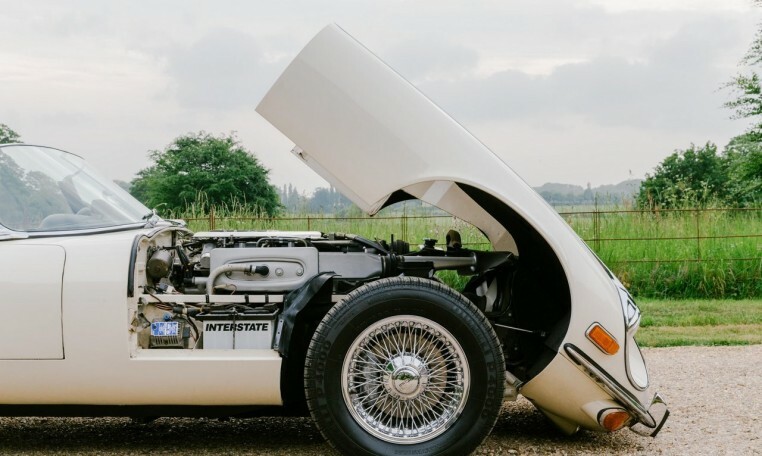 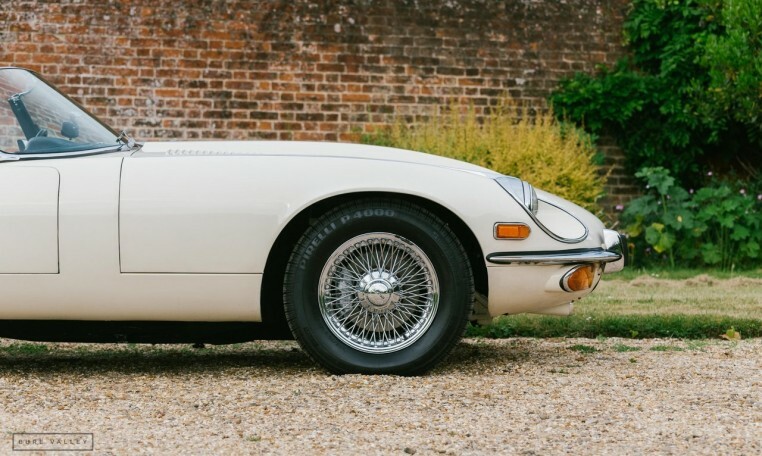 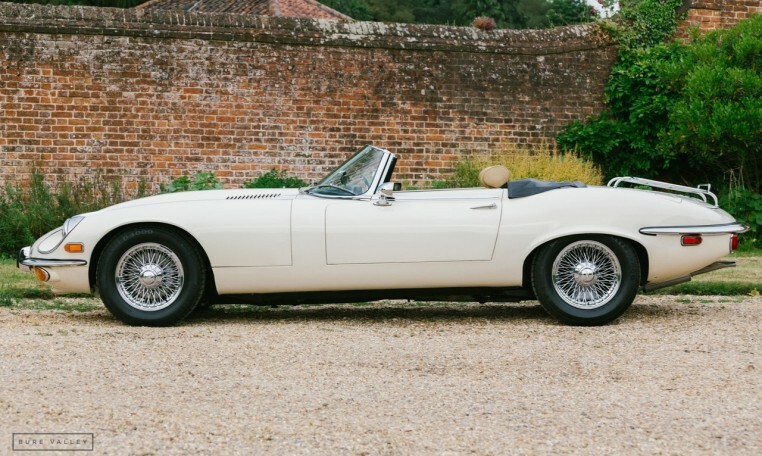 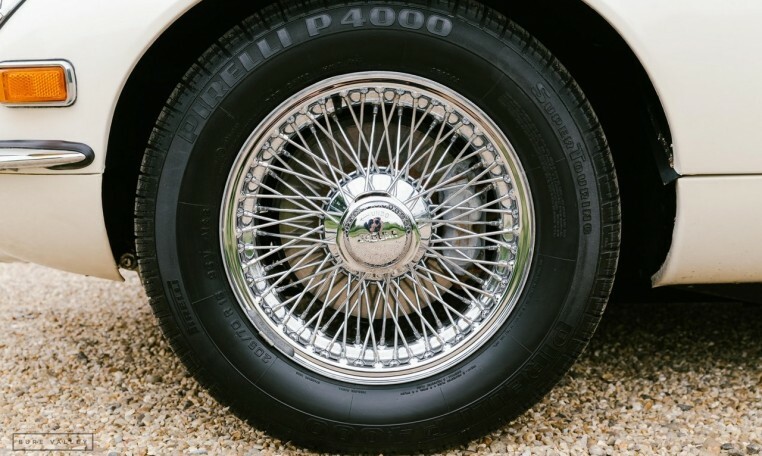 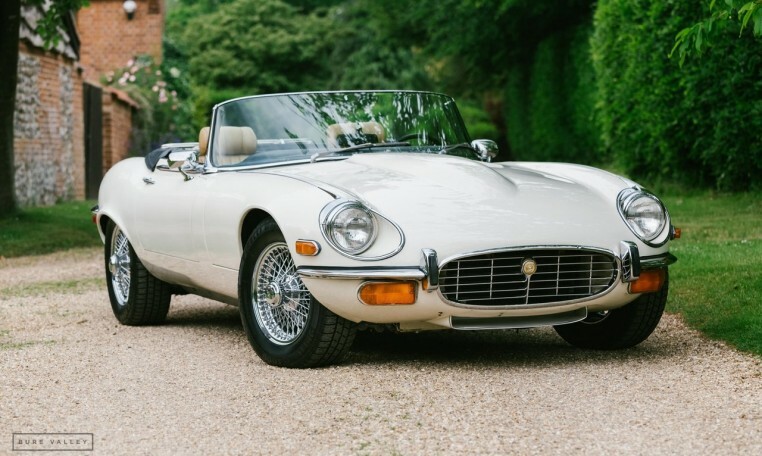 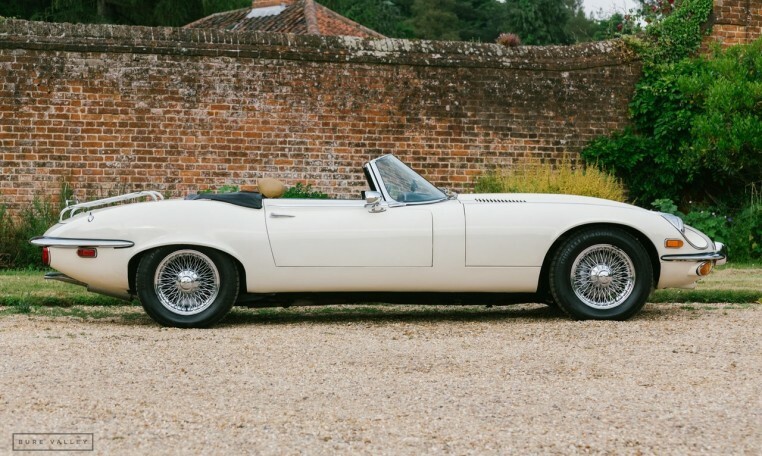 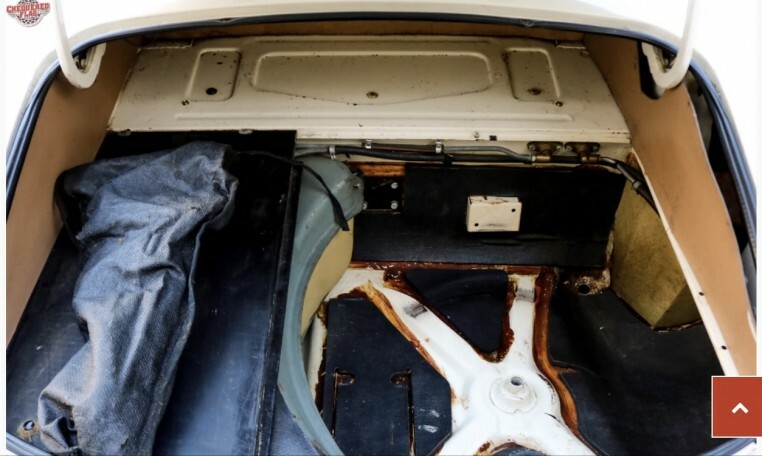 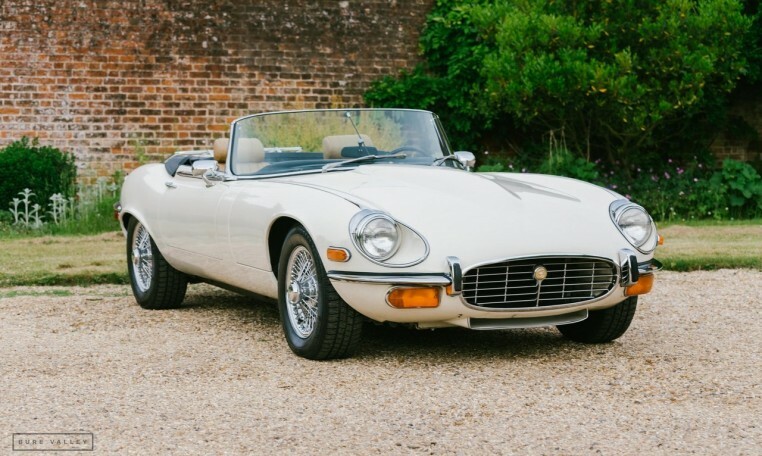 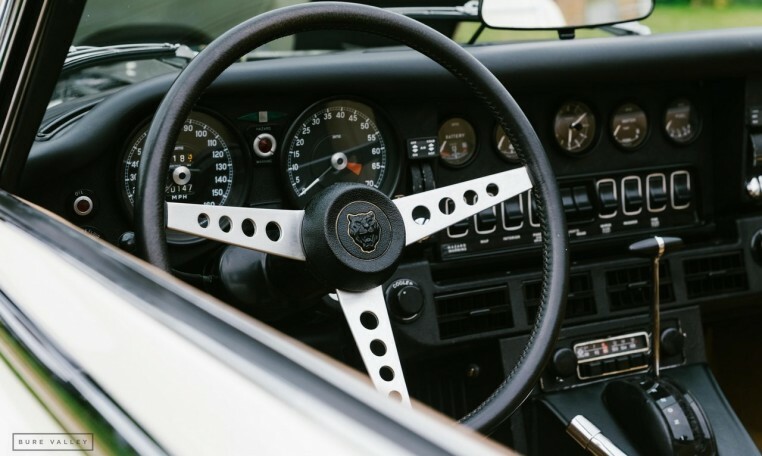 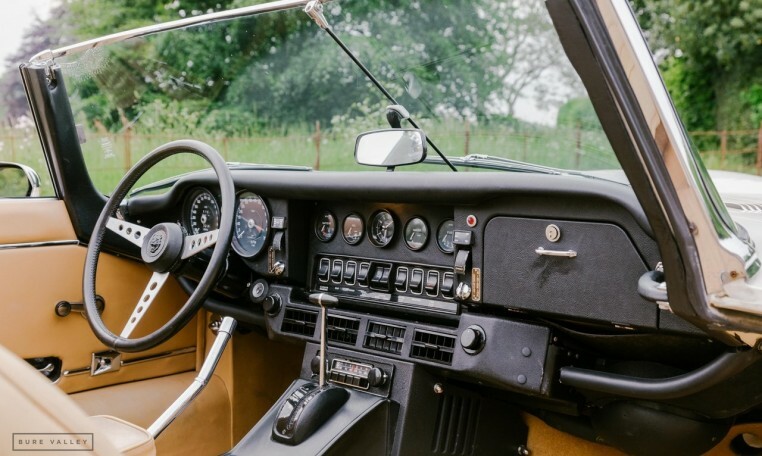 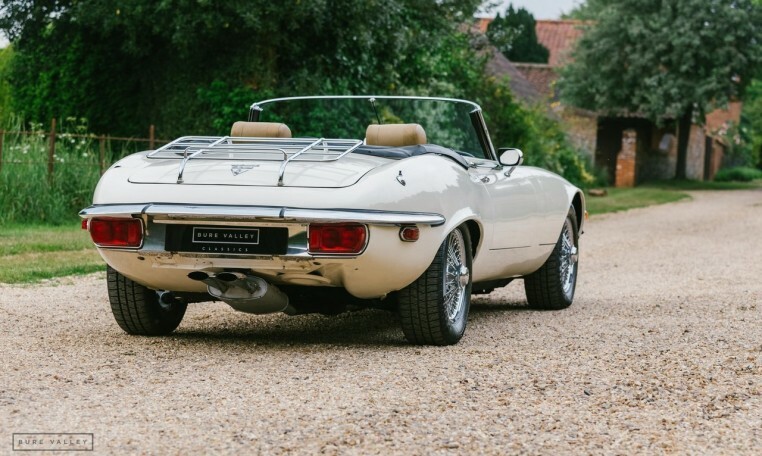 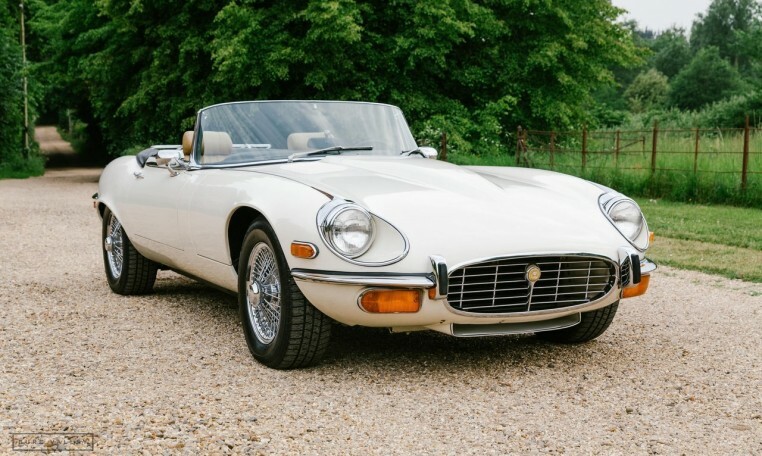 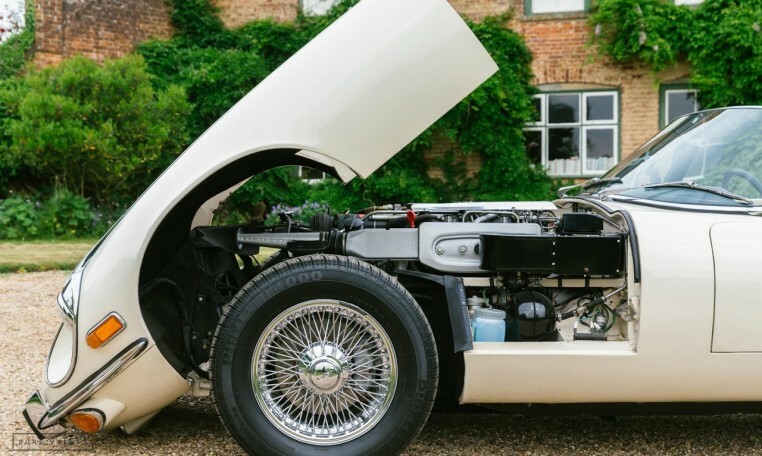 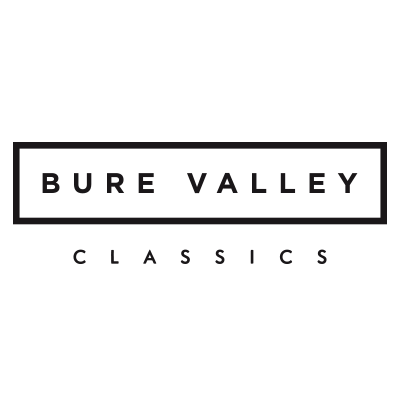 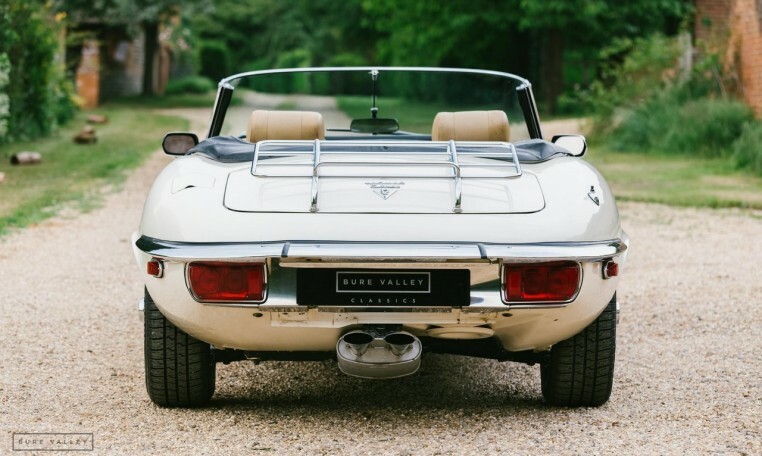 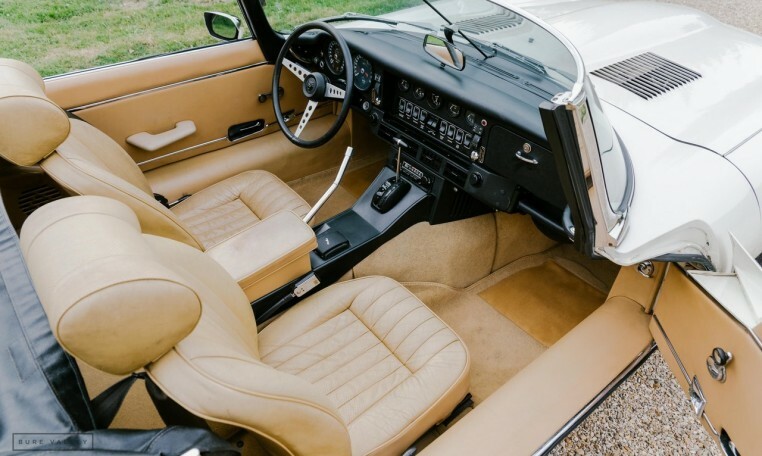 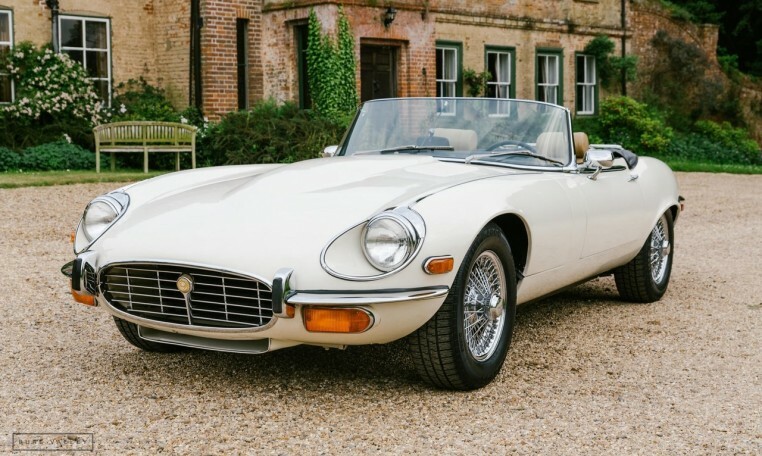 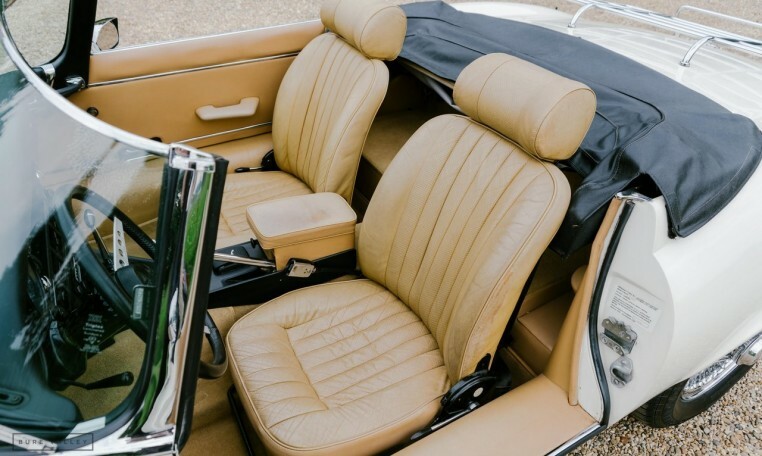 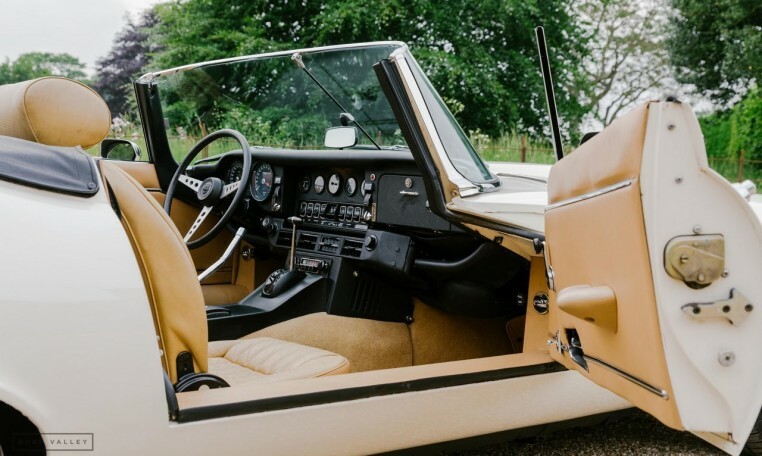 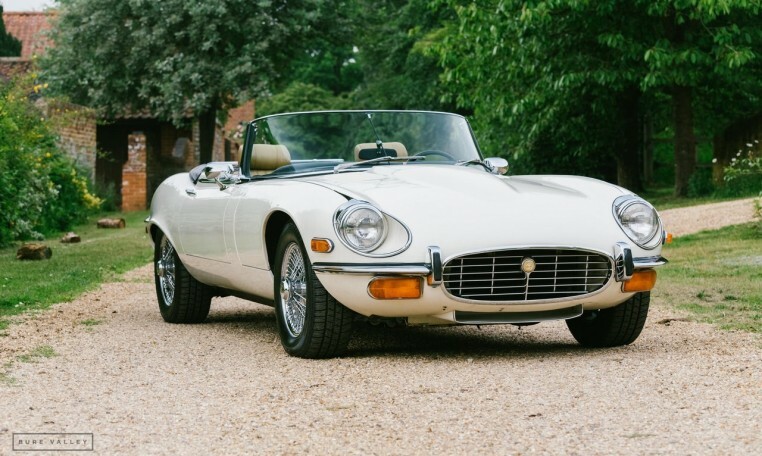 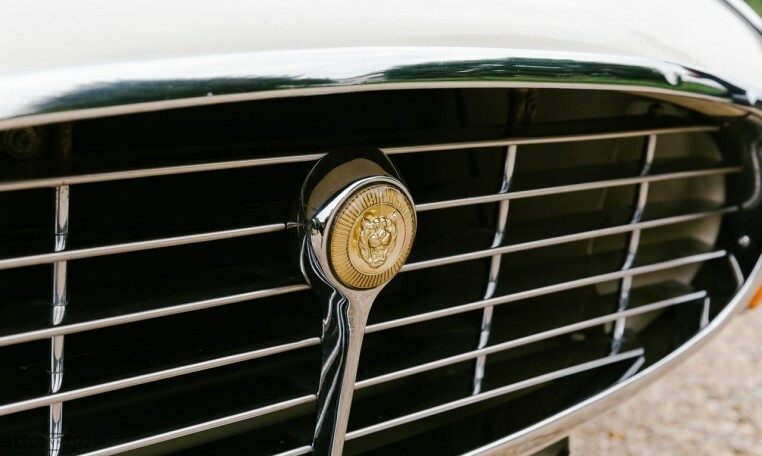 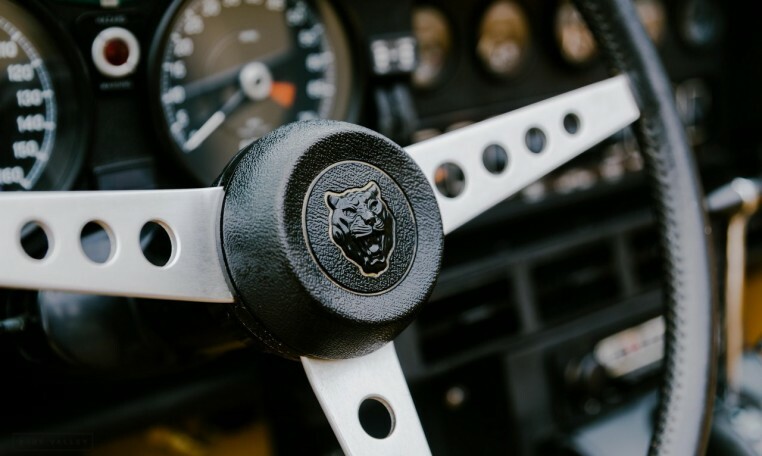 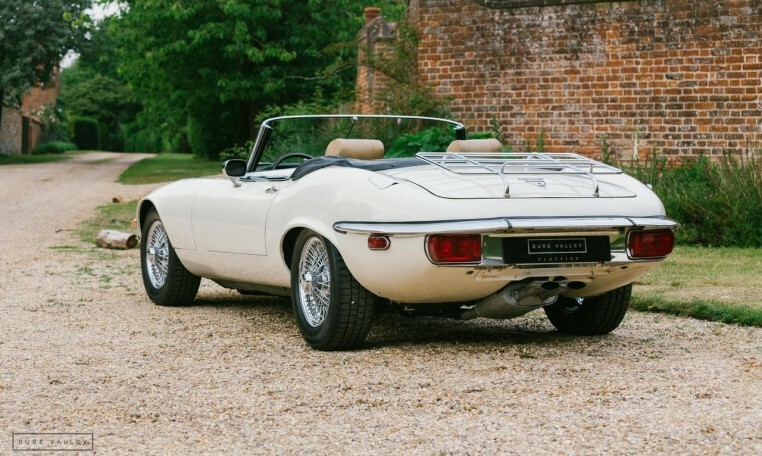 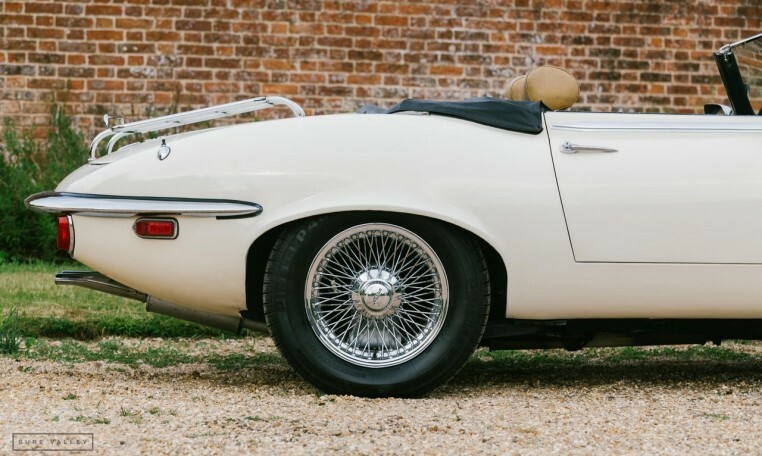 Bure Valley Classics are proud to offer this exceptional 1974 Jaguar E-Type Roadster, presented in White with Tan (biscuit) leather interior and original black hood. 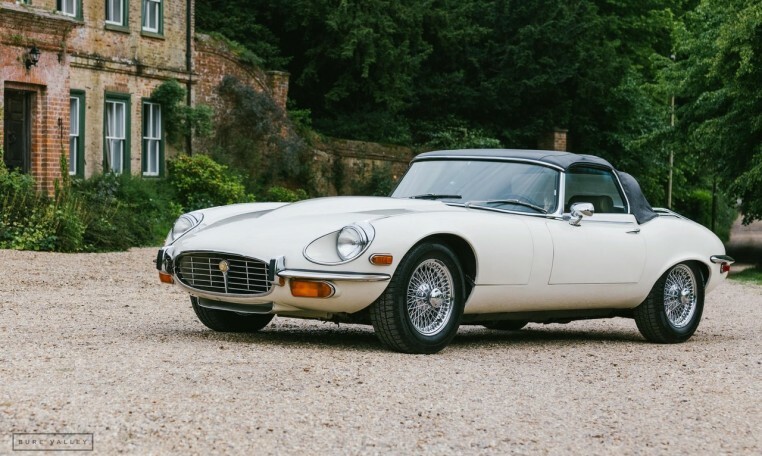 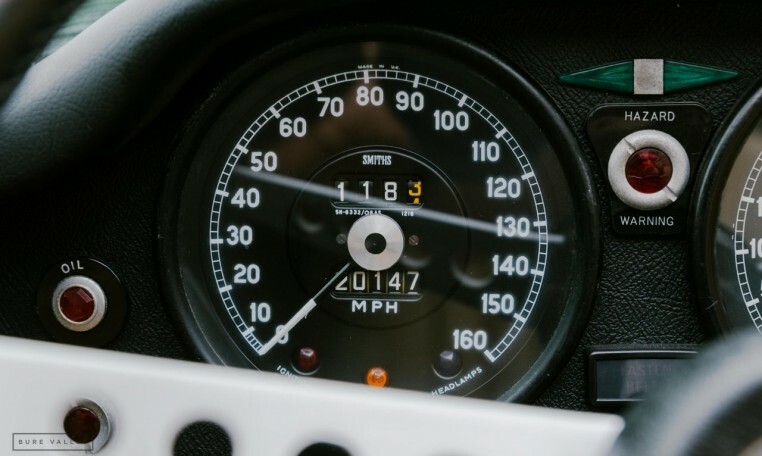 This is a rare opportunity to acquire this one family owned example, recently imported from California, the car has covered just 20,149 original miles from new. 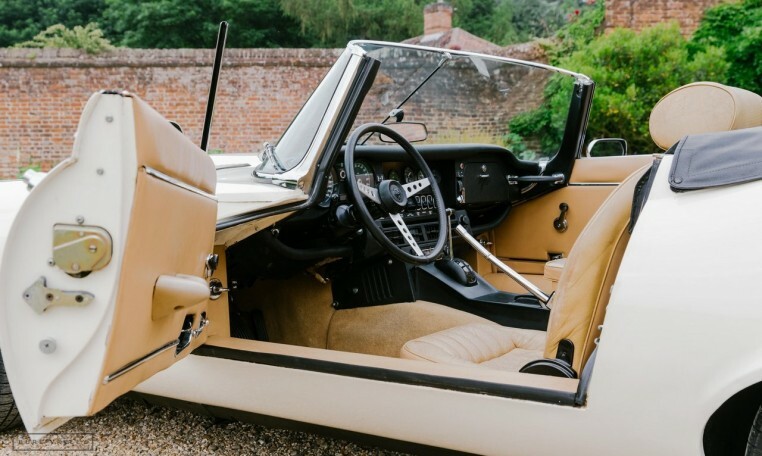 A very genuine & original example with a beautifully straight body with what appears to be predominantly original paint. 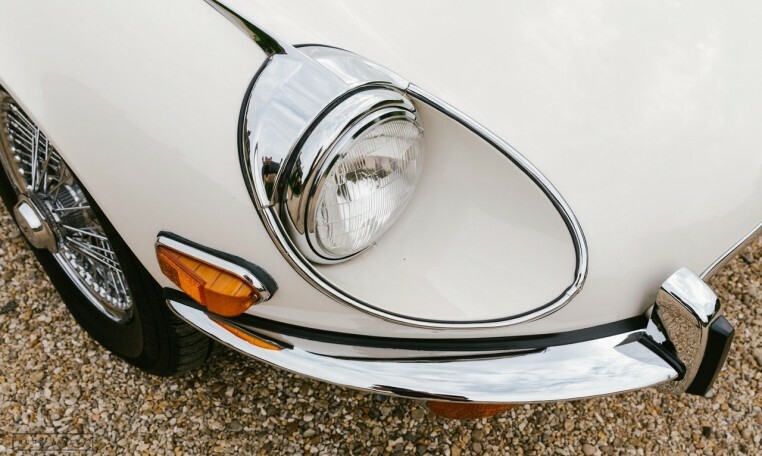 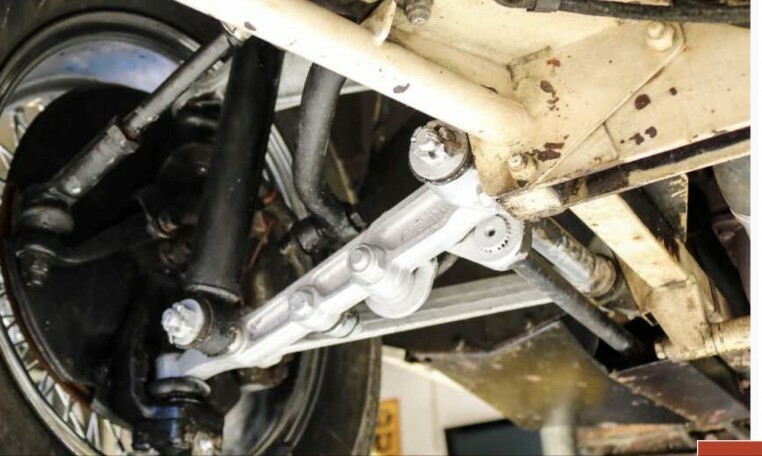 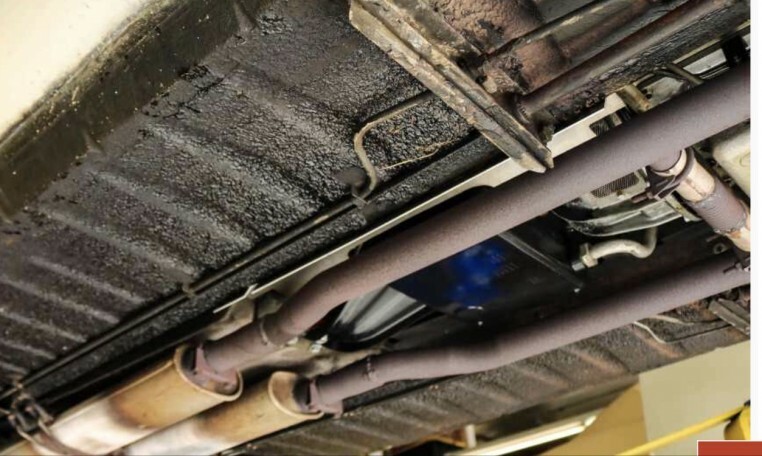 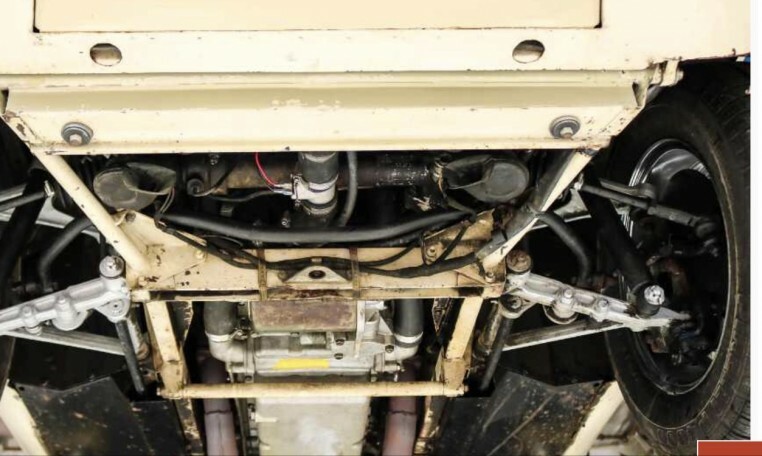 Absolutely zero rust or any signs of previous accident damage. 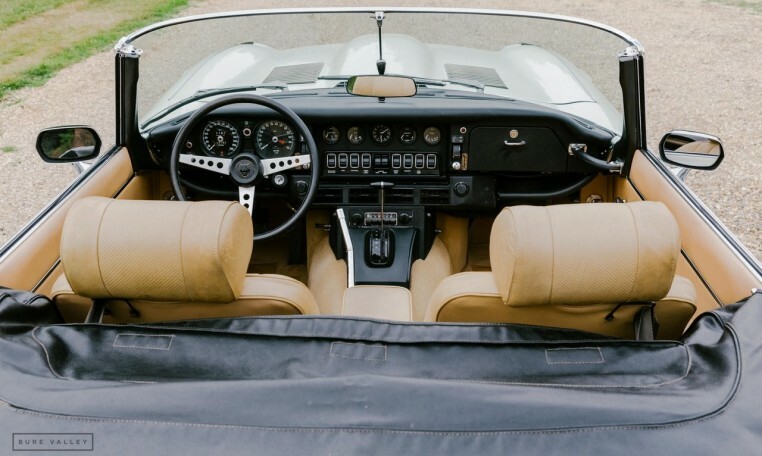 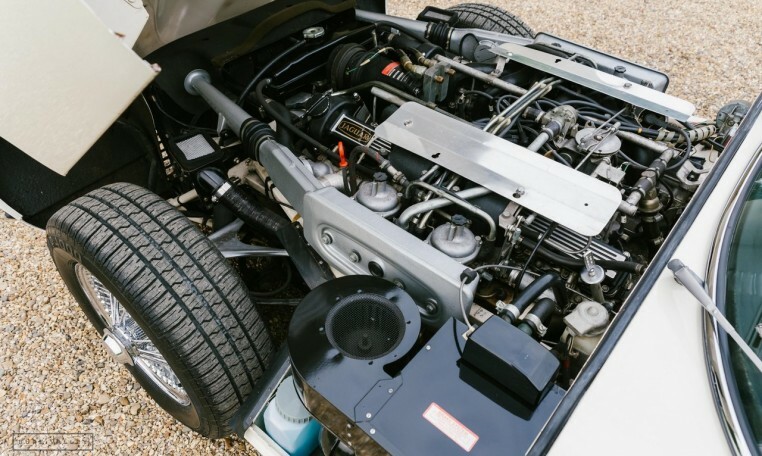 Numbers matching 5.3 Liter V12 with automatic transmission, A/C & power steering. 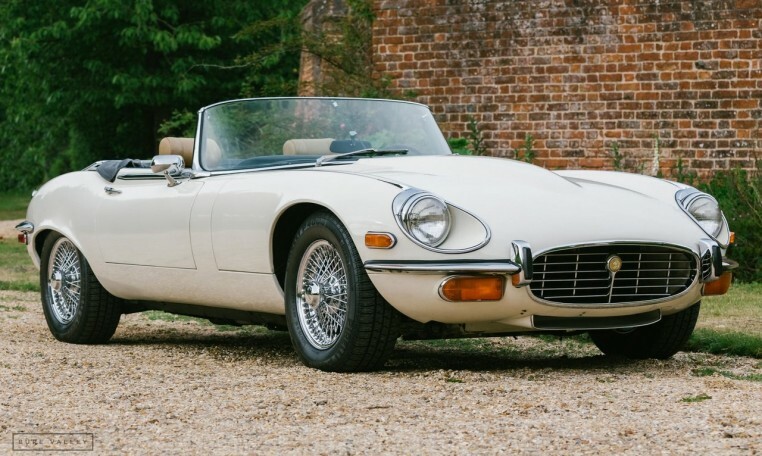 The car runs and drives superbly and is supplied with 12 Months MOT with no advisories, ready to be registered to its first European owner. 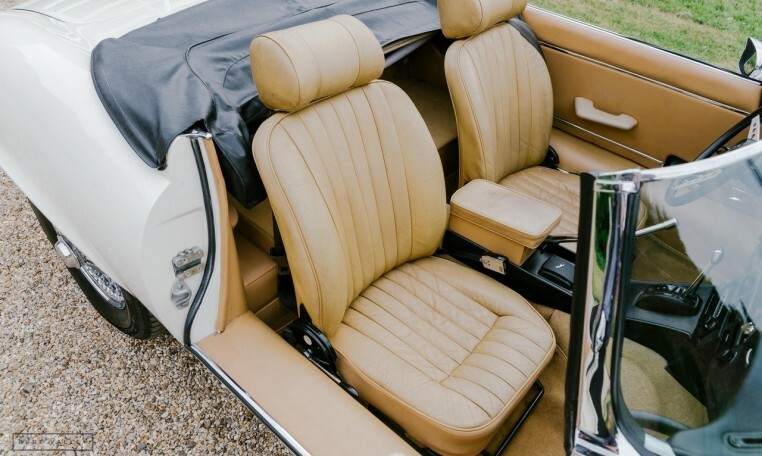 Completely original interior with superb patina to the seats which is consistent with the low mileage. 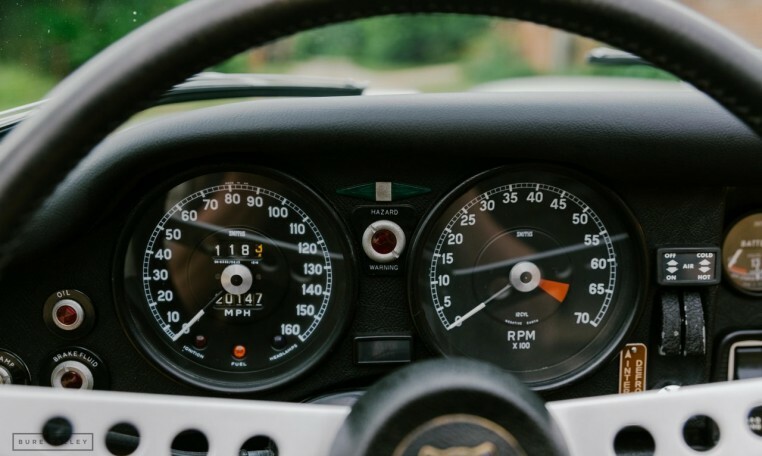 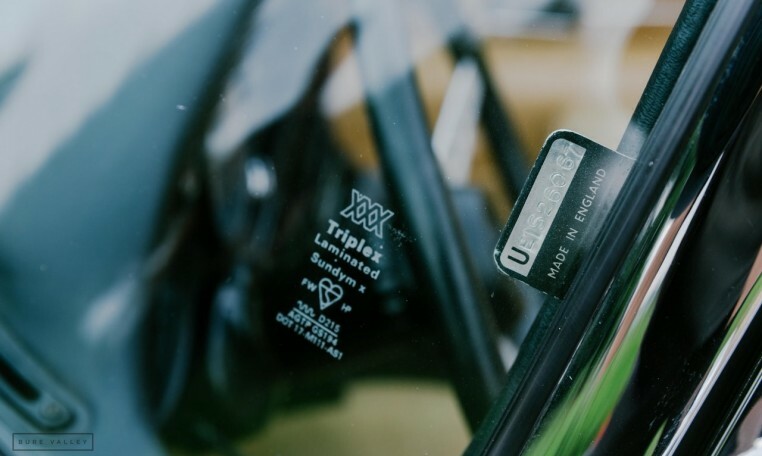 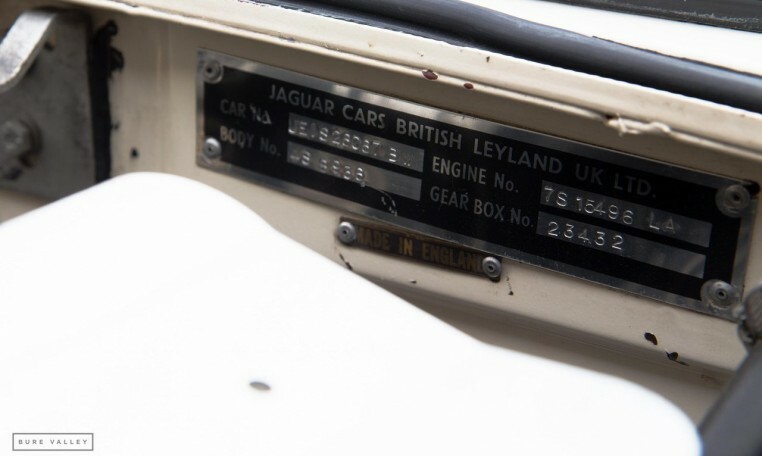 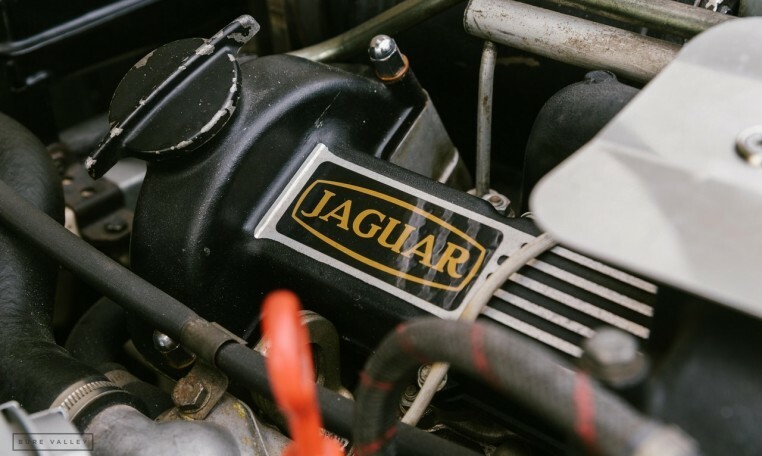 Jaguar Heritage certificate is present confirming complete matching numbers. 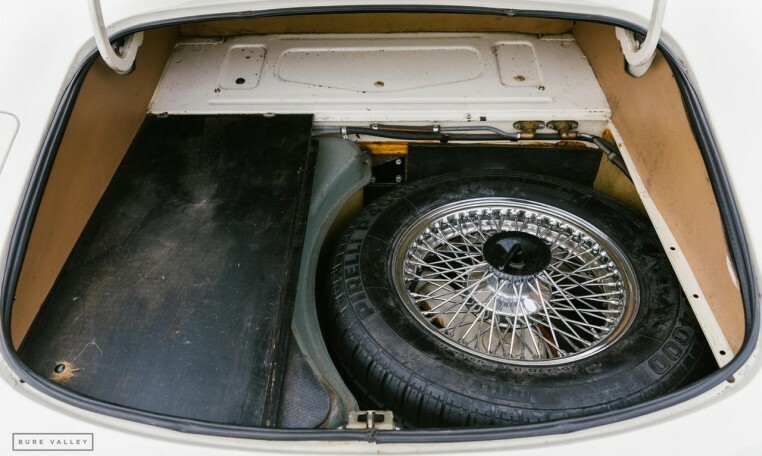 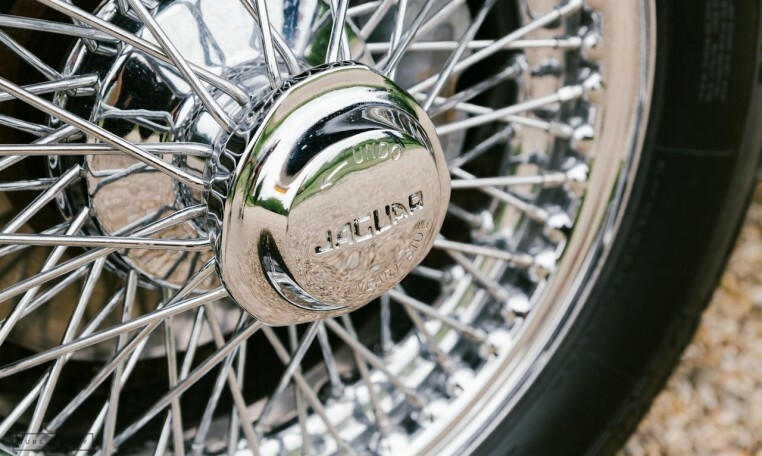 Past title copies & ownership records including appraisals & photos spanning 34 years, original spare wheel, tools & boot cover all still present. 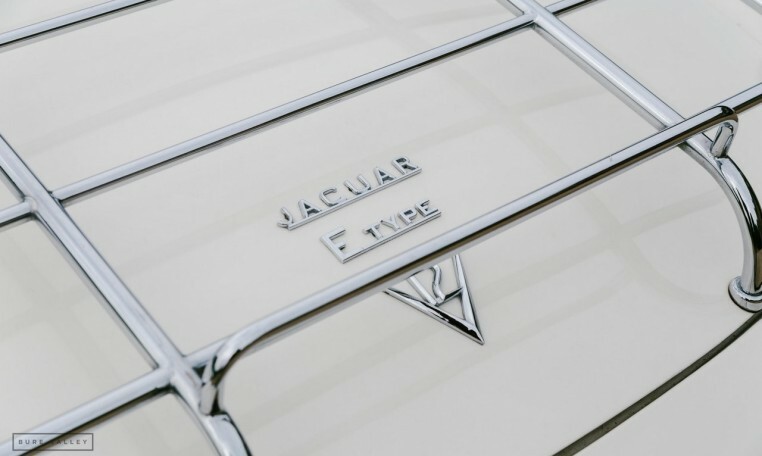 Jaguar Clubs Of North America score sheets from official Concours d’Elegance, (scoring 991.5 / 1000). 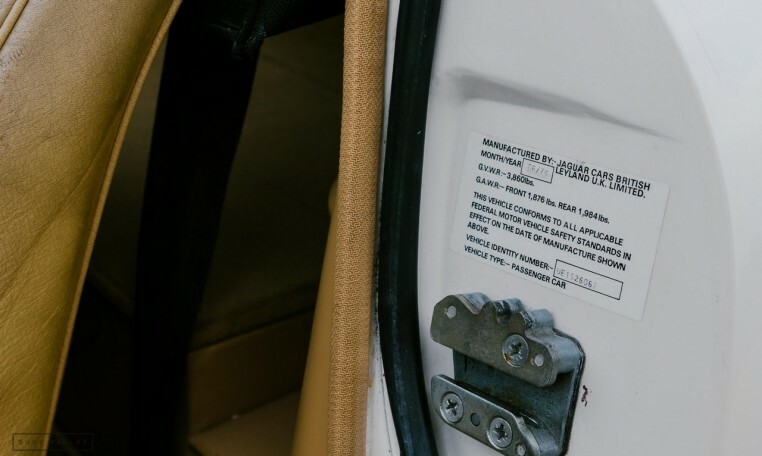 All import duty paid & registered on the NOVA system. 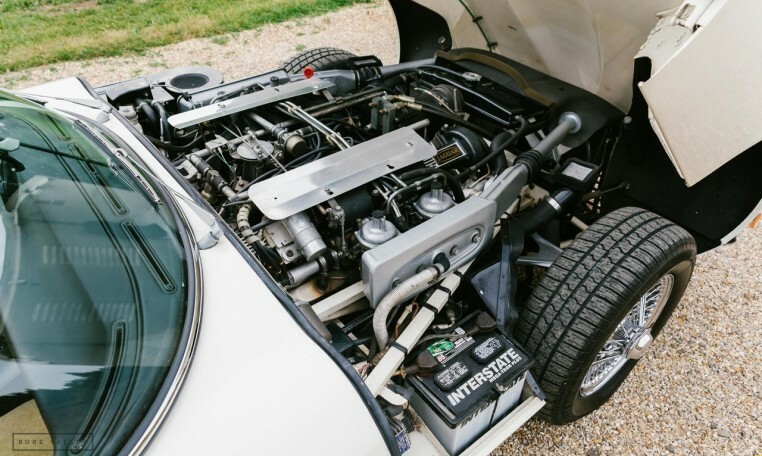 Any inspection welcome.